Gone are the days of relying on weather data alone to increase your operational decision-making. Instead, the most successful companies are merging weather data with other information to innovate the way they analyze risk and reward. There are a plethora of data sources Chief Information Officers use on a regular basis to analyze risks and rewards. Two common examples are sales data operational data. While analyzing these datasets on their own is a great way to steer your organization in the right direction, you can optimize your analysis even further by combining your data sources with weather data. Why is weather data a good dataset to merge with? It helps organizations analyze risk and reward better than almost any other type of external data available since weather impacts almost every business. Businesses often forget about the operational and financial impacts weather conditions can have on their bottom lines. 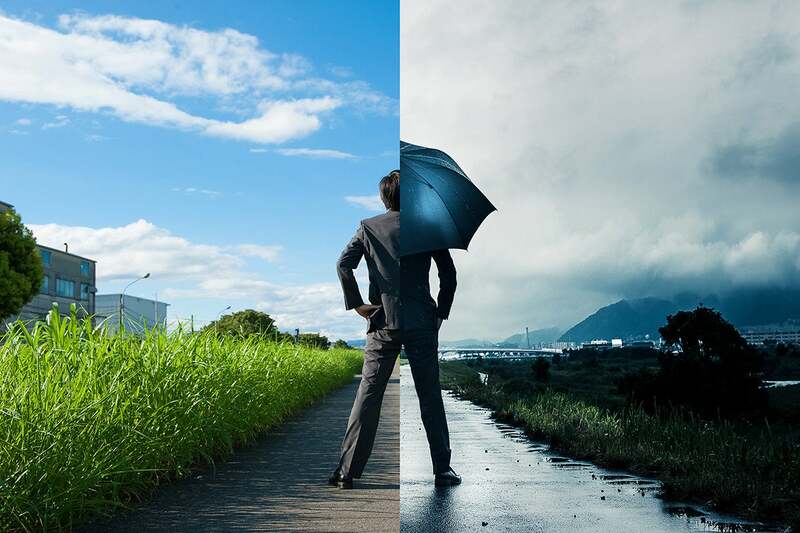 Let’s look at a few common use cases to see how businesses can successfully merge weather data with internal datasets to optimize their analysis and improve overall operations. The first example of a business that merges weather data with internal data is trucking company. I’ve seen quite a few companies use weather data to optimize their risk analysis. Weather conditions can cause a lot of headaches for truck drivers. Driving rains can flood roadways and reduce visibility almost completely. High winds can compromise safety at higher elevations or on bridges. Blizzards and snow squalls cause hundreds of crashes every year. In fact, 24% of all crashes in the commercial and consumer vehicle markets involve the weather. When the weather causes nearly a quarter of all your crashes that result in expensive damages and personal injuries, you must take steps to minimize that risk. And that’s what a lot of trucking companies are doing. By merging real-time weather data with truck GPS data, decision-makers can optimize routes. Now, drivers can choose highways that have more favorable weather conditions to save fuel, time, and minimize overall risk. Trucking companies are also seeing a benefit of combining weather data and camera data. That way, they know the conditions and can see if traffic may impact their scheduled arrival times. Incorporating new sources of data and merging them together has proven to be very successful for many trucking and commercial vehicle companies. The next common use case I see as a meteorologist is utility companies incorporating weather data into their risk analysis. This connection between weather and utilities companies is a strong one. We have a few different utility companies that actively monitor winds, snow totals, and thunderstorms to better predict outages, protect line workers, and get outages resolved faster. How do they do this? They merge real-time weather data with data that shows where their assets are across their service territory. Specifically, I see them merge tropical weather and forecast data to determine which assets could be affected the most based on wind forecasts. Utility companies also do this with the other severe weather conditions I mentioned above. After combining the data and visualizing it, decision-makers can then arrange for additional support and prepare crews to better respond. For decades, fast food restaurants and retailers have been using weather data to plan marketing activities. A common example I see is when a fast food restaurant chain consumes weather forecast data and merges it with location data. When decision-makers do this, they can determine the number of stores that will experience extremely high temperatures. When temperatures go above 90, 95, and 100+ degrees in restaurant locations, the restaurant knows there will be a higher demand for items like water, soft drinks, and ice cream. It’s critical for organizations in this industry to use this data because they can stock stores ahead of a heat wave to be able to satisfy increased demand. This is a great example of optimizing reward with weather data. Gone are the days of relying on weather data alone to increase your operational decision-making. Instead, the most successful companies are merging weather data with other information to innovate the way they analyze risk and reward. As a meteorologist, it’s great to see companies in all different industries enhancing their operations with weather data. These data integrations and innovative risk analysis can optimize operations better than ever before and I hope you can take advantage of these types of advanced analytics in 2018.